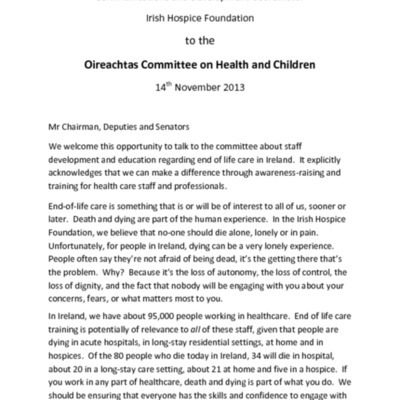 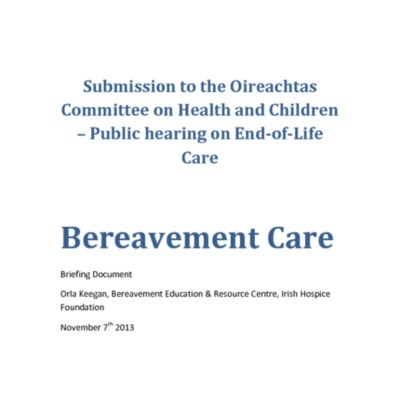 Between October 24th and 14th November 2013 the Oireachtas Joint Committee on Health and Children, held a series of public hearings chaired by Jerry Buttimer TD end-of-life care issues in Ireland. 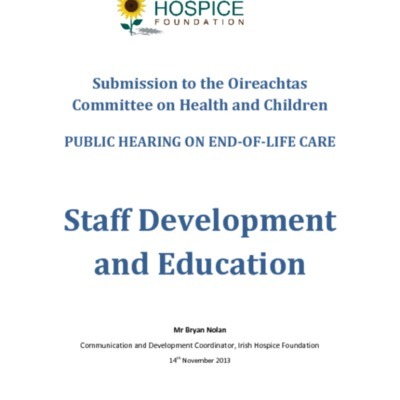 Expert speakers addressed the committee and examined current arrangements for end-of-life care in Ireland and what measures can be taken to ensure that persons of all ages approaching end of life are enabled to die well and with dignity. 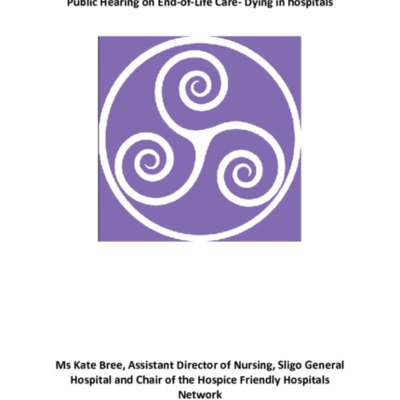 Speakers including Irish Hospice Foundation CEO Sharon Foley, addressed issues including; planning for end of life, the role of specialist palliative care, death in hospital, at home and in long-stay residential facilities, children, diversity and bereavement care. 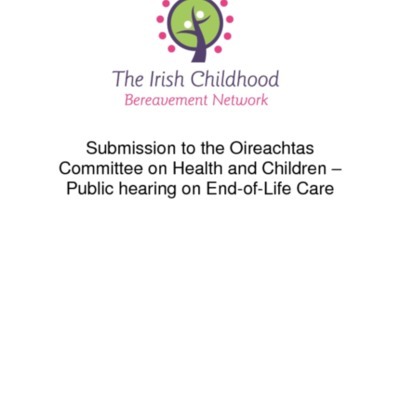 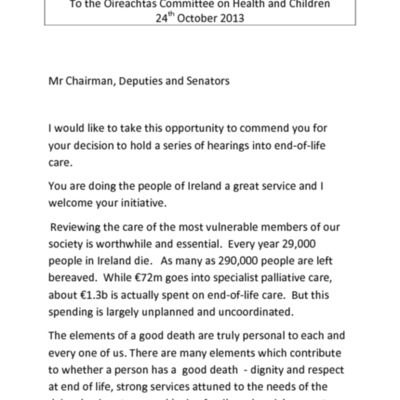 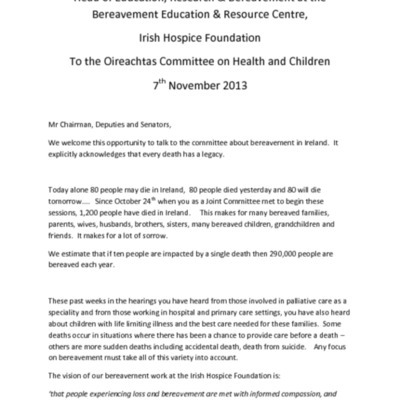 Briefing document by Brid Carroll Irish Childhood Bereavement Network Chair, intended to highlight issues concerning end-of-life care, submitted to the Oireachtas Committee on Health and Children. 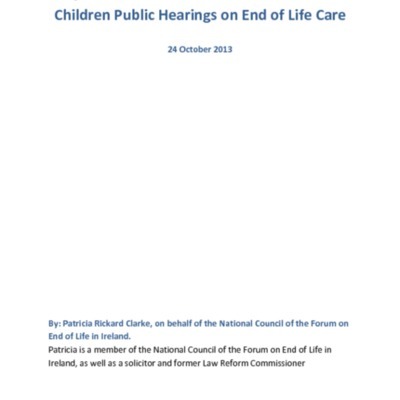 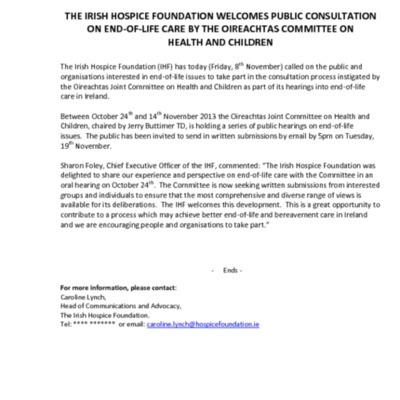 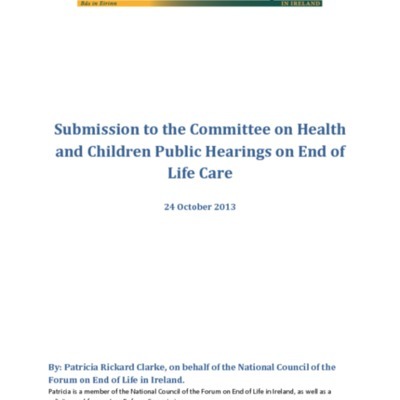 Submission to the Committee on Health and Children Public Hearings on End of Life Care by Patricia Rickard Clarke, on behalf of the National Council of the Forum on End of Life in Ireland.